For a variety of reasons, authors are generally told not to engage with reviewers. Reviews are for readers, not writers, and there is a natural adversarial relationship between authors and reviewers. Authors who publicly pressure reviewers risk alienating their own readers, or so some say. 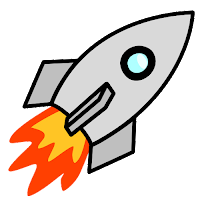 Rocket Stack Rank is more than just a review site, though; it's also an index of short science fiction that many readers use to find stories--even readers who pay no attention to our reviews. Reviews are a matter of opinion, but the index is a matter of fact, and since its purpose is purely to guide readers to stories they might like, we and the authors have a common interest in making it as accurate as possible. If you look at a review, everything that's right-side up (except the star rating itself) is part of the index. The mini-review is the upside-down text, and that's not in the index. Except for the rating, we encourage authors to give feedback about the text that's not upside-down. This is the text that gets used for all the different lists that we make during the year. Again, its purpose is to guide readers to stories they might like. The two parts of the index text that could benefit most from attention of authors are the subgenre and the blurb. We know that occasionally authors have strong feelings about what should go in this field, and we want to be sure they know that their thoughts would be warmly welcomed. It's often hard to come up with something that really does a story justice, and we'd love to know what the authors thought would best characterize the story. This short, spoiler-free summary is often the most difficult part of a review to write. It needs to tell enough about the story to help readers decide whether to take a chance on it, but not enough to give away any surprises. One example we're proud of is the blurb for "Blue Ribbon," by Marissa K. Lingen. This tells the reader it's going to be a deep-space story involving teenage girls in a (probably) dangerous situation. The reference to the 4H Club tells us they're ordinary kids who just happen to be growing up out there--they're not explorers or rich kids on a vacation or anything like that. Unfortunately, many of the blurbs aren't as informative as we'd like them to be. That's partly because of the need to avoid spoilers, but it's also true that we're unlikely to do a better job at this than the authors themselves. If an author proposes a change or even a complete rewrite of a blurb, we'd be very happy to hear it. We can't promise we'll use everything people send us, but we have zero ego invested in the blurbs, and making blurbs that do the best possible job of representing the stories is something we and the authors should both want. If you look at the "Blue Ribbon" example above, you'll note that it identifies this story as part of the series, "Oort Cloud Stories." Where possible, we'll look at the author's web site or twitter announcement to get the series name. Failing that, we'll use isfdb.org, and, in the last resort, we'll make something up. Given our choice, we'd far rather use the name the author prefers. In this particular case, I contacted the author directly. For that matter, we'd appreciate knowing that a story does belong to a series. It benefits readers who liked a story to know that there's more to the tale, and it benefits authors to attract those readers to more of their work--particularly when the related works are novels or novellas that are sold for money. 2. What About the Reviews? There are a few circumstances where it really does make sense for an author to engage with a reviewer (or at least with me). Toward that end, it helps to know what I'm trying to accomplish with my reviews at RSR. Honest and Impartial--Not "Unbiased" or "Objective"
My strategy for reviews is pretty simple: the star rating is my honest feeling after reading the story, and the text of the review (the upside-down part) is my best attempt to explain why I felt that way. I pride myself on reviewing the stories impartially; I don't let my feelings about the author affect my reviews. Note that this isn't quite the same as claiming to be unbiased. Any reviewer will have biases (e.g. I don't like emotional AI stories); readers need to find reviewers who share their biases. Likewise, "objective" is an impossible goal for something as inherently subjective as reviewing. The most you can shoot for is consistency, and that amounts to the same thing as being impartial. I extend my notion of impartiality to not holding an author's previous work against them. And I definitely won't try to "punish" authors just because they complained about my previous reviews. Reviews are for readers, and I would be doing my own readers a disservice to do otherwise. Some authors can't handle any amount of criticism of their work. One author complained about five negative words in thousand-word 5-star review which otherwise gushed over how great the story was. Another complained that a 5-star review praised their story for the wrong reasons. We can't make everyone happy, and we aren't going to try. A review should never be personal. "This story suffers from a weak plot" is okay. "This author can't plot his way out of a paper bag" is not. A review should not pile on. Once I've cited enough reasons to explain why the story got a 2-star review, I should stop. There's no point in trying to list 50 things that bothered me if 5 will do. Beyond that, if an author believed I was unnecessarily harsh, he or she should feel free to let me know. If I somehow wrote "This was the most awful thing I've ever read," I'd almost certainly be willing to soften that to "I didn't enjoy this story at all." Corrections to obvious errors and omissions are always welcome. For example, I would never misgender someone on purpose, but first-person narrations sometimes leave very few clues. Just point to a place in the story that shows the right answer, and I'll cheerfully correct the review. Authors should not ask for changes based on things that depend on the reader having knowledge outside of the story. For example, if the author claims that an inconsistency is explained because the protagonist was related to the ghost, that fact has to be supported by something in the story--it can't just be something in the author's notes. An exception would be references to literature, e.g. Lovecraft. If the story had a symbolic meaning that I didn't get, that's the sort of information that's very welcome in the comments to help stimulate discussion of the story, but I'm not likely to change the review because of it. That's because for me symbolism and subtext are just icing on the cake; the story needs a solid plot with strong characters before it's even worth thinking about anything else. And, of course, appeals to give a story a better (or worse) review based on the identity of the author won't be well received. "But he's a fellow gay person!" "But she was a Rabid Puppy!" Nope. For Rocket Stack Rank, reviews are about the stories and nothing but the stories. That's a bedrock principle for us, we think it's what readers expect of us, and we're sticking to it. For most purposes, the best way to contact us is just to leave a comment on the story itself. Sometimes a good comment doesn't even need a response from us, and authors are always welcome to engage in polite discussion. Remember to follow our comment guidelines though. Another option is to send e-mail to greghull@rocketstackrank.com. We'll keep such correspondence confidential, if possible. Posting a complaint on Twitter is probably the worst way to try to get our attention, but anyone who insists on going that route should at least put @rocketstackrank in the tweet so we'll have a chance of seeing it.